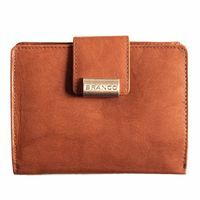 You need a spacious purse which fits a lot, but still keeps everything well-arranged? 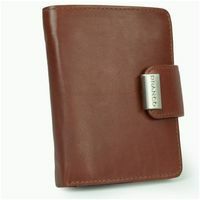 Then this beautiful holder made out of high quality cow leather is perfect! 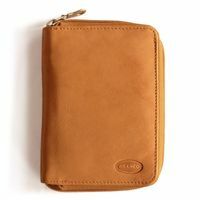 The handy money pouch has got enough space for notes, coins and cards of all kinds. 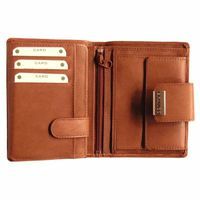 And there are another five additional pockets in A7 format extra for old, large-sized IDs or papers compartments (This statement applies to GERMAN old, large-sized IDs etc.). 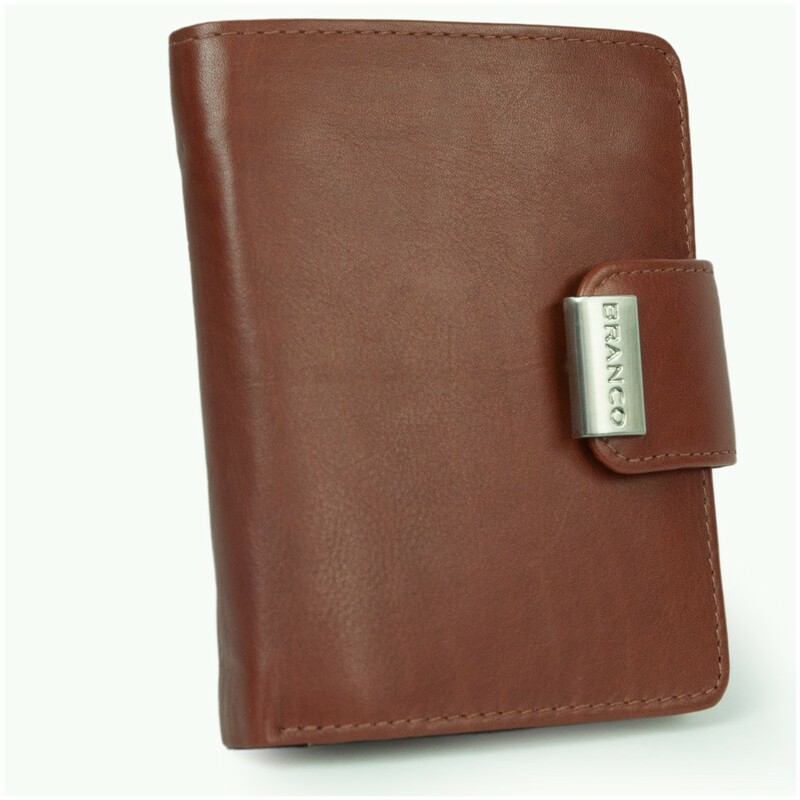 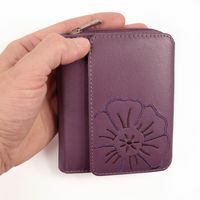 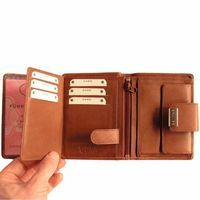 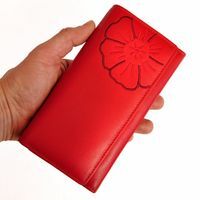 This money holder offers you a lot of capacity with nine card slots, five A7 ID sections, two of them with view window, two compartments for notes and a long compartment with a zipper for documents. In contrast to that, the coin pocket is a bit smaller and simply offers space for some loose change. An extra foldover strap with a snap keeps together the entire card and ID section. 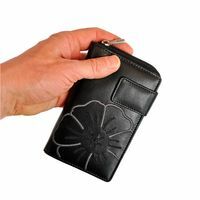 That way, everything is kept well-arranged and is not immediately visible when you open the pouch. 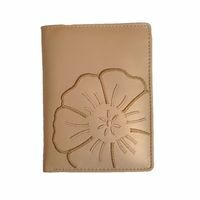 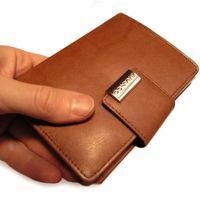 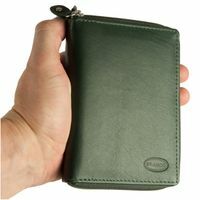 The soft, high quality cow leather lies very nicely in your hand and is very well made. 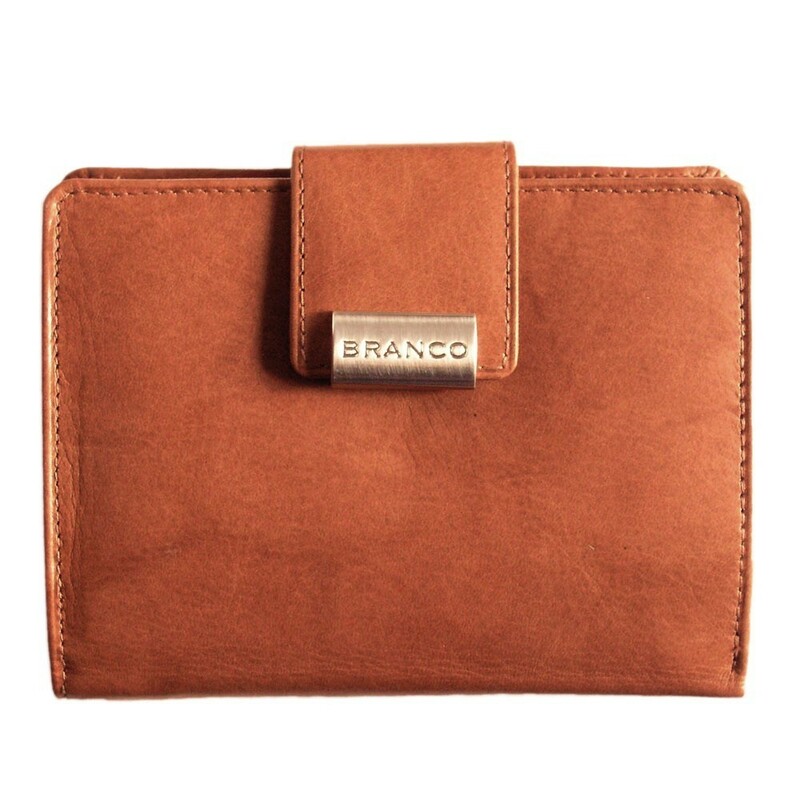 You will enjoy this nice purse for a long time.